Fisheries provide food, feedstuff, and materials which are reliant on ecosystem services provided by marine and freshwater systems. Fish spawn and mature in aquatic systems, from which they are harvested by fishers, distributed and processed in households, restaurants, or processing plants, and either eaten by consumers, used in aquaculture, horticulture or agriculture, or used in manufacturing. The movement of fish from sea to plate follows distinct sequential stages. We call this the “fisheries system”. 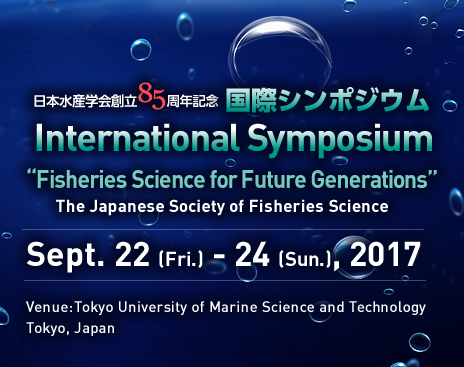 While each stage of the fisheries system has been the focus of specific research activities, these activities have generally proceeded from the perspective of individual disciplines, e.g., oceanography, chemistry, biology, ecology, resource dynamics, economics, business management, food science, processing, nutrition studies, etc. As a result, their objectives, data, models, discussions, etc., do not present an effectively integrated perspective of the fisheries system as a whole. This Special Feature brings together research from across disciplines to provide a broad perspective of the walleye pollock Theragra chalcogramma fisheries system. While this falls short of being a fully integrated model, it highlights key interfaces among disciplines and illustrates fundamental research questions for each stage. By highlighting these questions and interfaces, we hope to foster an intellectual environment that will lead to true “integrated research” that can best be pursued by multi-disciplinary teams rather than by individual scientists who limit their research activities to the narrow scope of their specific disciplines.